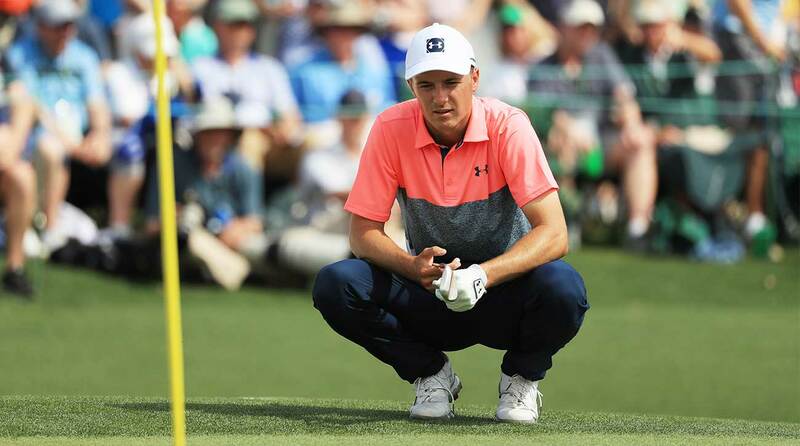 AUGUSTA, Ga. — There’s something wrong with Jordan Spieth. We think. But who really knows. He’s won a Masters and a U.S. Open and a British Open but has done little in this what-have-you-done-for-me-lately world. We know he hasn’t finished in the top 30 in a stroke-play event all year — or registered a top 10 since the 2018 British Open — and we know you’re well aware of his respective rankings in key statistics. To sum: his driving has been poor, he hasn’t been great around the greens and his putting — especially on the short ones — has not been good. Or so we thought. But the golf ball doesn’t know who’s hitting it and stats mean little when you’re between the ropes. Stats be damned, Spieth shot a four-under 68 to jump to one under overall. He hit three more greens and three more fairways and took one less putt than he did on Thursday. One strong round that still had hiccups isn’t about to change his long-term fortunes, but that doesn’t mean he’s not in the mix at this 83rd Masters. Jordan Spieth shot a four-under 68 on Friday at the Masters. Facing his first early Masters exit of his career, Spieth bogeyed the first hole on Friday but didn’t make another the rest of the day. He made birdies on 2 and 9 to make the turn in one under and rattled off three more birdies on 10, 13 and 14. Despite a three-putt par on 15, he still believed he’d make the cut. In fact, Spieth wasn’t even sure what the Masters cut rule was. “I’ve never been anywhere near it,” he said. He thought it was the top 60 and anyone within 10 shots of the lead, but caddie Michael Greller corrected him on the back nine. It’s the top 50 and anyone within 10. Spieth was in the clear. Another birdie chance came on 17, when Spieth knocked his approach to six feet before missing. He gestured with his hands and stared down the cup as he walked away, disgusted. Stepping onto the 18th tee he lobbed his ball high into the air with his left hand and snatched it with his right. He walked like a man who knew he let one slip away, just like he did on 15. He stood on the back of the tee box and shook his head. As Brooks Koepka pegged his tee into the ground, Spieth looked past him. He glared beyond the 17th green and the patrons looking his way, and fixated his gaze on the giant leaderboard next to the 17th’s grandstands. He tossed this Titleist from hand to hand as he scrolled. Francesco Molinari seven under. Jason Day seven under. Much had changed since 11:04. After a par on 18, Spieth talked to the media about his progress, stress-free pars and his momentum-building birdie on 9 before fading into the background with an Augusta National member. The Green Coat put their hand on Spieth’s shoulder as he entered the door for the locker room. He took off his cap, stepped in and disappeared. Will Jordan Spieth find it? We now have 36 more holes to find out. That much wasn’t certain on Friday morning.